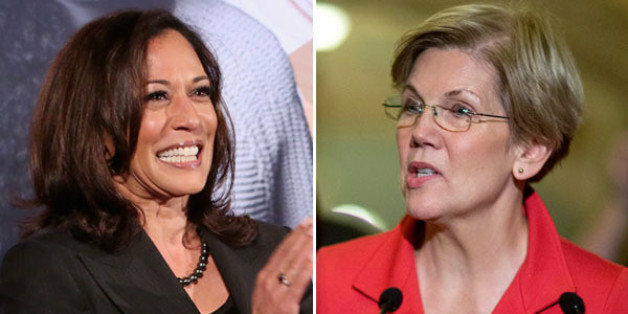 To some’s joy and others’ dismay, US Senators Elizabeth Warren (D-MA) and Kamala Harris (D-CA) issued separate statements with their intentions to run for president in 2020. It can be said that these announcements were to be expected, as both were very vocal about their disapproval of President Donald Trump. However, these announcements don’t come without plentiful reactions and mixed opinions from the public. Some declare that one, or both of them, is unexperienced, while others claim that after President Trump’s term, the White House is a free-for-all. Despite the diversified responses, both senators have plenty to bring to the table, each with their own abilities that can aide them during their race towards Commander-in-Chief. Warren, for instance, is the poster-woman for mainstream feminism (right after Hillary Clinton) and may gather a lot of support from millennials and older Gen-Z’s. She has been known to speak out on the immigration policies of President Trump and has issued her persistent support of the LGBTQ+ community as well as indigenous groups. On the other hand, Kamala Harris also carries a heavy weight when it comes to receiving support from the public. Her popularity in the media flared up during the controversial Senate Judiciary hearing of then-Supreme Court nominee Brett Kavanaugh. Some of Harris’ boldest statements and clear disdain for Kavanaugh’s nomination took over the depths of the internet. She was applauded for her fearless support of Dr. Christine Ford (who testified against Kavanaugh) and gained popularity from sexual assault survivors, along with a large number of women, depending on whose testimony they believed. Similarly to Senator Warren, Kamala Harris’ start to a 2020 presidential run doesn’t come easily. Harris’ history as a prosecutor, district attorney, and state attorney has caused a few eyebrows to raise as many people question if she is as progressive as she claims. The opinions vary, but the persistent claim is that Harris’ record shows a contradicting amount of decisions when it comes to incarceration. While she defends her efforts at helping people find jobs instead of going to jail, she also fought to keep people in jail even after their innocence was proven. Many also foresee her possible attempt at using her race to win over the African American community with dubious intentions. So where does one stand when presented with two senators, both women, who both belonging to the same political party? The politically correct answer would be to do research and support the candidate that correlates best with one’s individual beliefs. But is that what someone living post-Trump presidency should be doing? Record shows that a “what’s best for me” mentality can lead to a mass of people being affected, no matter which side of the political spectrum one’s on. Instead, inclusivity is a sensible way to ensure not only one’s own beliefs are being represented, but everyone else’s as well. As impossible as it might sound to represent everyone in the nation, it is afterall a president’s job to stand for all of their citizens. Regardless of party affiliation or personal biases, when a leader represents a nation, they represent the good, bad, and the ugly. This is something to take into account when both Warren and Harris begin their official campaigning. One must ask him or herself, “Which candidate will not only serve me, but my neighbor as well?” Who knows? Maybe thoughtfulness might be a remedy to our ailing nation.